Входных двери ZETTA - официальный сайт завода производителя . ZETTA is a whole world of entrance doors, where you can find the one – a model in line with your ideas of beauty and comfort. Now the entrance metal doors are chosen considering their aesthetic properties: color, texture, decor elements. Absolute reliability and flawless functionality come as standard in every model. ZETTA invites you to collaboration. Concentrate on the pleasant, while ZETTA will take care of the technical part. Installed doors and just as many happy owners. Dealerships throughout the country. Our products are presented only with reliable sellers. 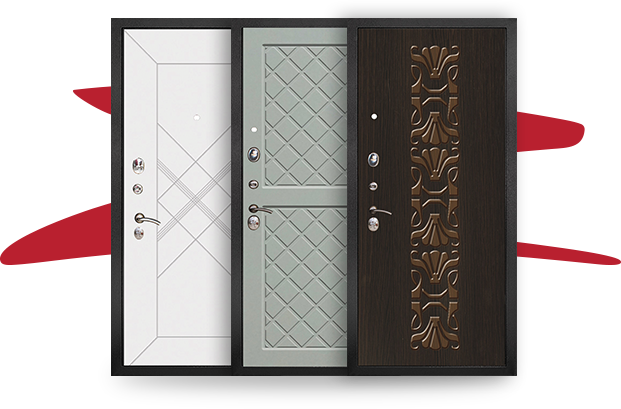 Our doors are in demand not only in Russia, but also in the CIS countries: Belarus and Kazakhstan. Catalog of ZETTA doors has over 100 models with different design, more than 200 shades of coating. ZETTA doors protect from noise – your sleep will be peaceful with them. Unprecedented reliability – each ZETTA door is designed for 500,000 openings. ZETTA engineers realize that the doors should ensure the maximum degree of reliability and security in the first place, and therefore they paid particular attention to the safety parameters of their solutions. This resulted in the creation of a completely innovative eccentric workpiece, which has a square shape: this solution ensures the maximum tight door fitting to the opening. 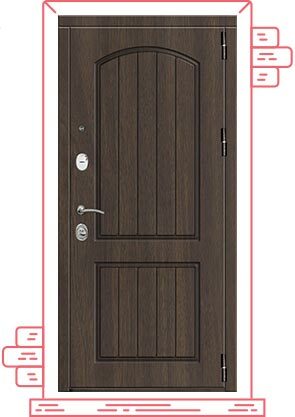 How to choose the entrance door? And here we got good news for you! Looking through ZETTA catalog of entrance doors, you can fully concentrate on their aesthetic properties, because reliability, durability and usability are supplied with each our model by default. You can read why ZETTA entrance doors meet the uncompromisingly high standards of quality, reliability and safety in detail on our website page “About doors”. Here we will provide a number of tips on choosing a model that will best fit your interior, solve certain design challenges and just match your mental outlook. Do you want to create an interior where walls and other surfaces are just a noble sober background for a few bright accents created by furniture or special decorative elements? You will be pleasantly surprised to learn that ZETTA entrance door can fully match the coating of your hallway walls – not only in color, but also in surface texture. The technologies that we use allow to achieve the effect of complete matching. As opposed to the previous option, your entrance door can become a color center attracting looks and emotions. You will learn a lot of bright ideas from ZETTA catalog. Models from collections “Fusion”, “Modern”, “Ethnic” are on a par with the decorative wall panels by forms expressiveness and color value. However, when opting for them, you need to think about how such a door will be combined with the rest of the interior. The mirror decorative element of the entrance door is a simple and elegant way to visually expand the space depth, as if to add some air and light. This is just a perfect solution for small hallways. After all, it’s just convenient to be able to take a look at yourself right before you leave home. 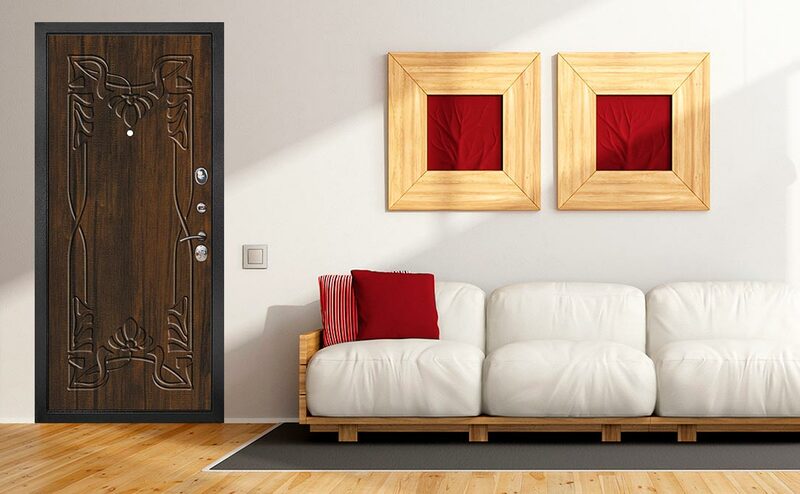 Doors with mirror inserts can be found in collections “Modern”, “Premier”, “Classic”. If you like presentable furniture from solid finewood with details and covered with dark natural leather, or you are an owner of apartment or office in the loft style, we advise you to pay attention to the entrance doors from collections “Victorian”, “Urban”, “Techno”. 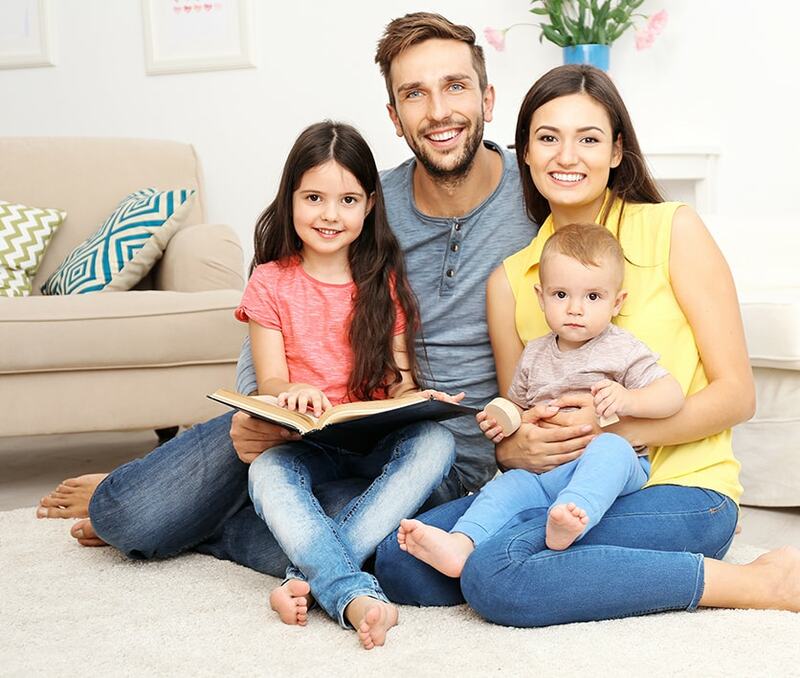 Is your home full of flowers and pets? Are sharp lines alien to you, and your whole life is a succession of bright emotions and positive impressions? Are there photos of places you have visited and would like to visit on your walls? We know what we can offer you! 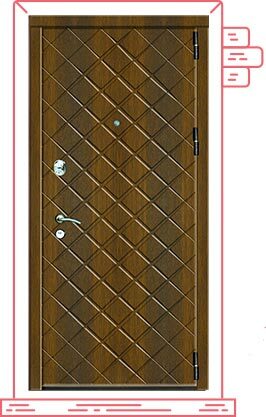 One of the entrance doors from “Nature” collection will become a new member of your large and friendly family. If similar structural elements in the interior have a uniform design, it looks very harmonious. 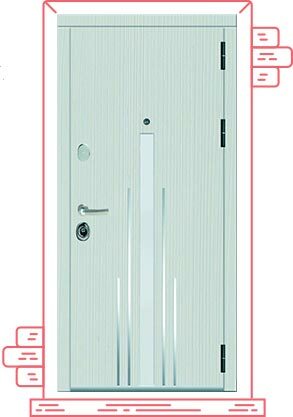 Choosing ZETTA, you can make a harmonious set, since we use the interior door panel on the inside of the entrance door in one of our collections. We do not just offer decent profits from ZETTA doors sales, but also arrange convenient logistics. An additional advantage will be the information support of our specialists, help with the assortment optimization, proven brand reputation and high product quality. Use of high quality materials and favorable cooperation terms make ZETTA doors attractive for real estate developers. Customized approach from the manufacturing factory makes cooperation with ZETTA really comfortable and reliable. Simple logistics, flexible pricing policy and 100% quality guarantee for all products make cooperation with ZETTA advantageous and comfortable. We create conditions for your business to flourish.